"The warning as summer approaches is in fact an indication to all Arabs, even those whose countries have not told them to stay away yet," the daily printed on its front page. "This is a real catastrophe to all Lebanese whose living standards have plummeted and who now have only one lung that allows them to breathe, thanks to the remaining Arab investments." However, while the Beirut newspaper and other Lebanese lament the economic consequences of the Gulf decision mainly on tourism, one of the country's best assets to generate money, several Gulf Cooperation Council (GCC) citizens have had to review their travel plans for the summer. "We had it all sorted out for the post Ramadan holidays, but we now have to change our destination," said Mohammad Sultan, an accountant in Manama. "My family always insists on holidaying in an Arab country, and since the drama is still unfolding in most Arab destinations, we thought that a two-week break in Lebanon would be the best option. The country has a lot of wonderful places and the weather is usually splendid. However, we cannot take risks and we will comply with the call to avoid Beirut," he said. Mashael Al Dhawadi said that it was the second time that her plans to visit Lebanon had to be changed. "I have never been to Lebanon, a country that I have come to love through its singers and actors and all the good things I have heard about its landscape," said the government employee. "However, it seems that I might not achieve my dream of seeing its famed places as whenever I convince my family to focus on Beirut as our summer destination, something terrible happens and we have to change our plans," she said. In Doha, travel agents said that the call by the Qatari foreign ministry to avoid Lebanon would result in the cancellation of their bookings. "The demand for Lebanon trips was already weak before the ministry's decision," agents were quoted as saying by local Arabic daily Al Arab. "Now, everybody is expected to change their itinerary and to drop their Lebanon plans. However, the bookings will be most certainly rerouted to Europe, the US and the Far East." Arab countries are not likely to capture the interest of the big-spending Qataris, the travel agents said. 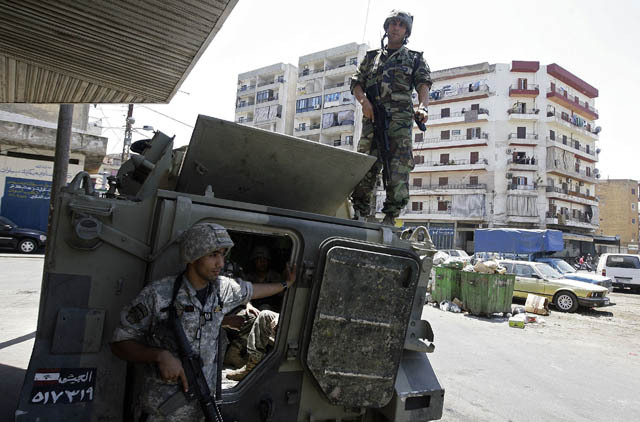 In Kuwait, Alam Al Yawm daily reported that the decision to avoid Lebanon was taken amid concerns that Gulf nationals could be kidnapped and handed over to the Syrian regime as alleged elements from Al Qaida. Ahmad Al Saadoon, the Kuwaiti parliament Speaker, requested the government on his Twitter account to issue a statement about the situation in Lebanon, especially for those who had plans to travel there or those who are staying in the country.